Hey, everyone! It feels like it’s been quite a while since I’ve taken a look at a Rev’It! 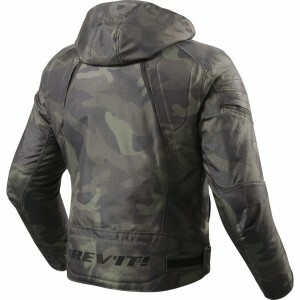 item so I was quite happy to find that I’d be taking a look at the Rev It Burn Motorcycle Jacket today. It’s a jacket I’ve personally had my eye on, or at least a very close sibling to the jacket I’ve had my eye on. The both share the same design and look remarkable similar- the only visible difference being the colour. So getting to know this jacket is a bit of a treat for me as I’ll get to make a more informed choice on the new jacket I’ll be getting after Christmas. As usual, when it comes to Rev’It! the first thing we tend to notice is the price tag. 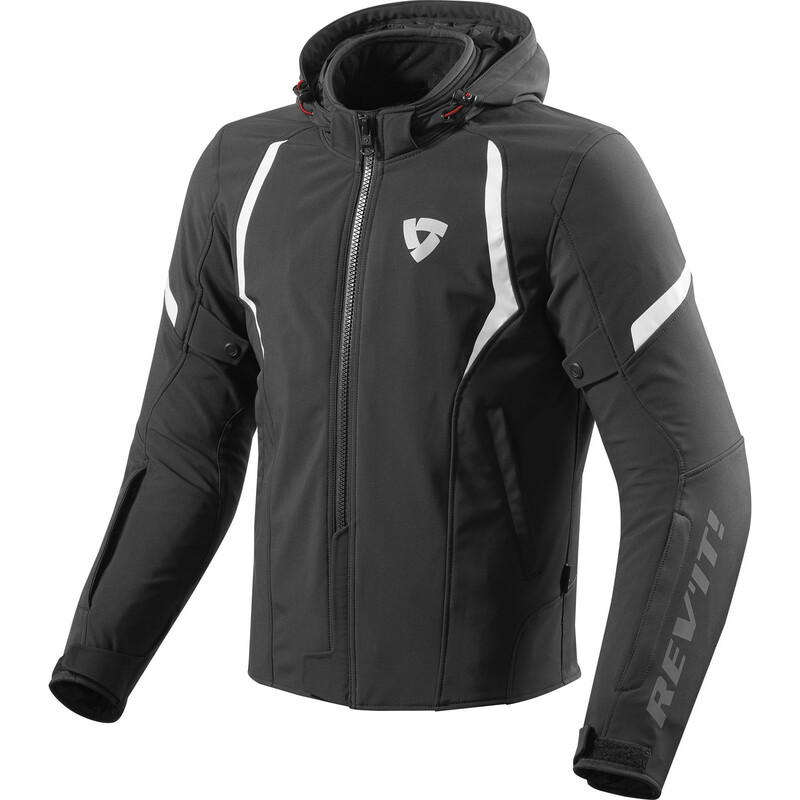 At £219.99 its certainly not a cheap jacket- but that’s the advantage of any Rev’It! jacket you’ll ever buy- they’re not cheap jackets. They’re not cheaply made, they don’t -look- cheaply made, they’ll do their job excellently and as long as you look after the jacket- it’ll look after you. The pure quality is worth every penny. The Rev It Burn Motorcycle Jacket specifically is more an urban styled jacket with a sport cut and a tight, race fit. It would be great whether you’re zipping around town to be social, as a courier for commuting or even as a general sport biking jacket. It doesn’t make a half-bad casual jacket either, most motorcycle jackets don’t come with a hood attached to them so you can get away with it looking like a normal soft shell. 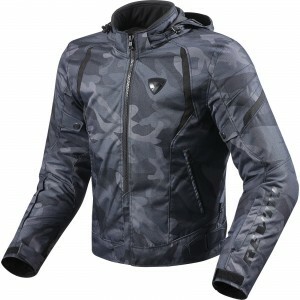 But if the hood isn’t to your liking, it can be removed and it won’t affect the performance of the jacket. At least not while you’re riding, though you may wish you had kept it on if it starts raining while you’re walking about. The shell material of the jacket is a high density softshell of woven material that keeps the jacket breathable, flexible and durable while keeping the wearer warm and dry. To assist in keeping the rider warm the Rev It Burn has a thermal liner, like most motorcycle jackets do. It’s removable so you can leave it in if you’re cold or take it out if you’re either too warm or just prefer a bit more room inside the jacket like I tend to do. 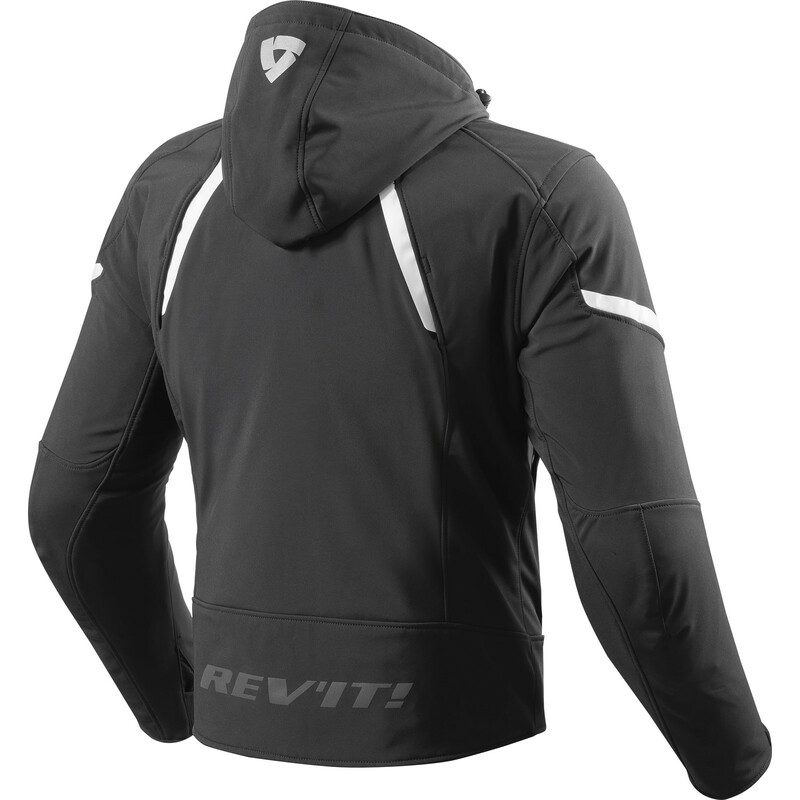 The jacket is kept waterproof by a Hydratex®|G-Liner. This is a coating that is applied to the jacket’s inner lining and then the seams are taped to make the jacket waterproof. It’s a great liner that gives the jacket a nice, well-rounded level of all-weather protection. I would still advise putting on an oversuit if you’re riding through sopping wet, torrential conditions though, I find that sporty jackets aren’t usually built to withstand the full, unrelenting wrath of Britain’s weather at it’s worst. But still, this jacket really tries it’s best, it even has a double front zipper with a water catcher to keep water from coming through the front. To keep you protected the Rev It Burn has Knox Flexiform CE Protection at the shoulder and elbows but unfortunately doesn’t have a back protector installed. 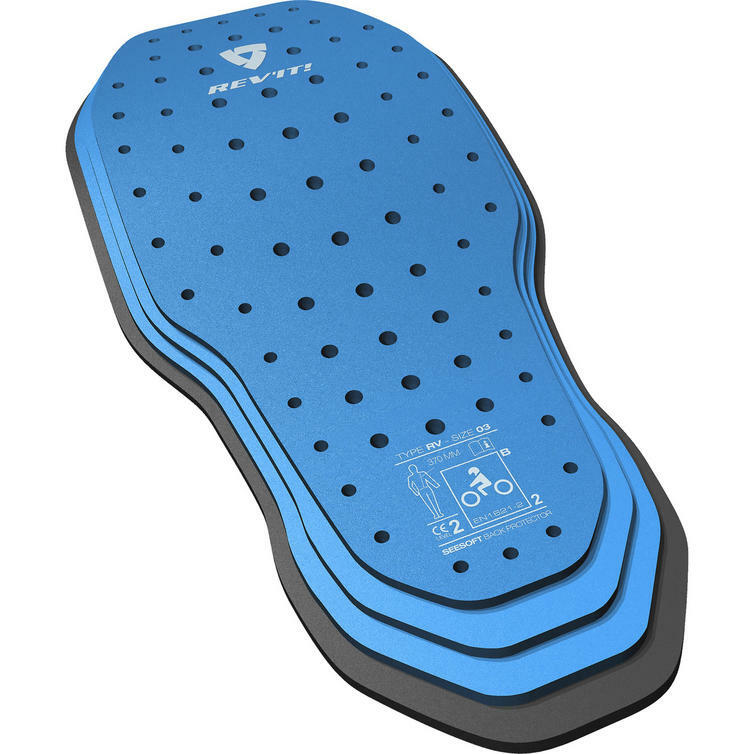 Before you go thinking “no worries, I’ve already got one spare at home.” know that it does have a back protector pocket but it’s specifically sized and prepared for the SEESOFT Type RV Level 2 Back Protector. The size of the jacket you get will also affect what size back protector that you will need for it. You can usually find this info inside the jacket at the opening of the pocket for the back protector. For example, my Rev It Masaru Leather Jacket in a Large would need a Type RV Back Protector in size 04. 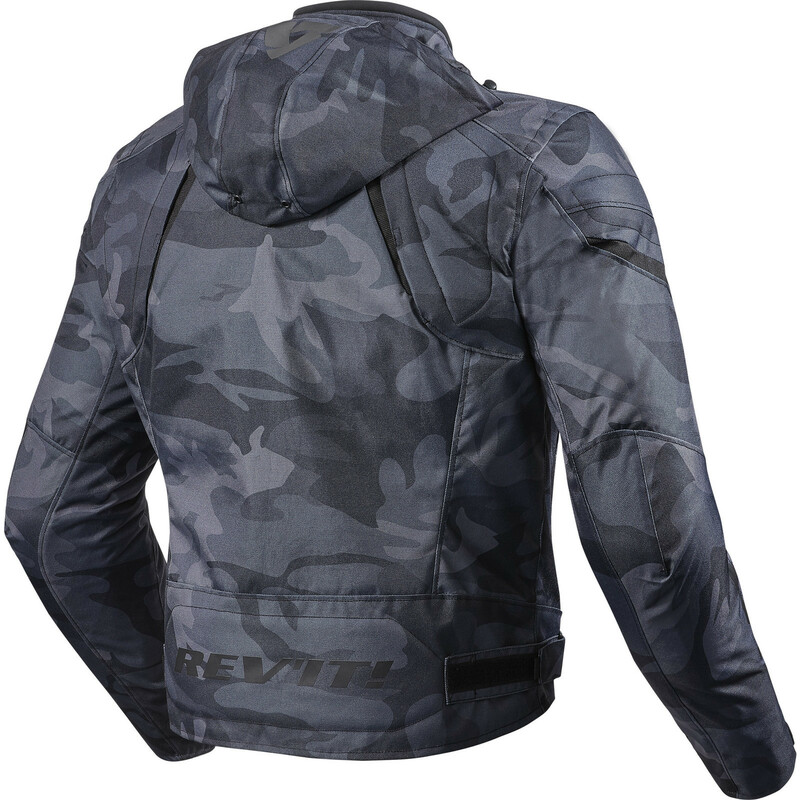 I’m really considering this jacket for myself, or rather I’m considering getting one of it’s siblings- the Rev It Flare Motorcycle Jacket. They’re more or less identical jackets in terms of cut, style and the shape of the shell, with the same kind of fit. The only real visible difference is the Rev It Flare is only available in black or green camo and the price of the Rev It Flare is £199.99, a little less expensive than the Rev It Burn. This is because the shell of the Flare isn’t -quite- as hi-tech, being made of a 600D Polyester rib fabric. It’s still a brilliant material in it’s own right and used in lots of motorcycle gear but it’s just not as uncommon or as engineered as the High Density Softshell of the Rev It Burn. So the question is- do I get a Burn for safety? Or do I get a Flare for style?